Home / Household / Organizing / DIY Travel Spice Kit – Great for Camping! DIY Travel Spice Kit – Great for Camping! 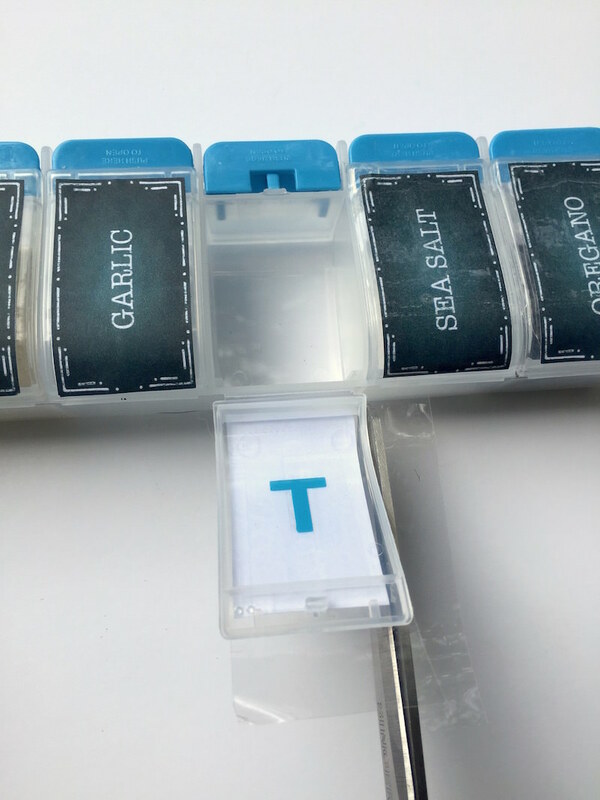 Turn a pill organizer into a travel spice kit for camping. So smart! 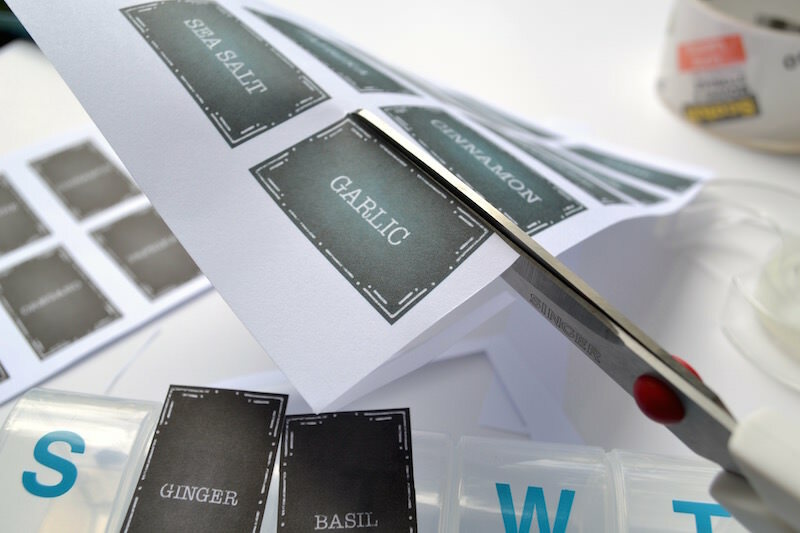 Get the free printable labels here – and learn how to do it. 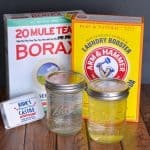 You can make this camping spice kit in just a matter of minutes, and for cheap! When it comes to camping, one of the most important things to learn is how to organize effectively. It doesn’t matter if you are driving an RV or wearing everything on your back; you want to save as much room as possible! When I used to camp all the time, the focus was on limiting the weight of utensils and food items. Every little bit you can save helps, and here’s a camping hack I learned back in the day that might help you now: a DIY camping spice kit. 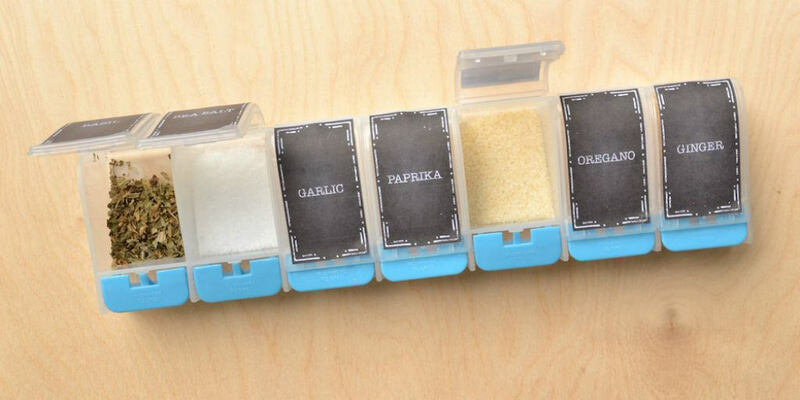 This cool little travel spice kit keeps you from dragging a ton of heavy spice bottles around. 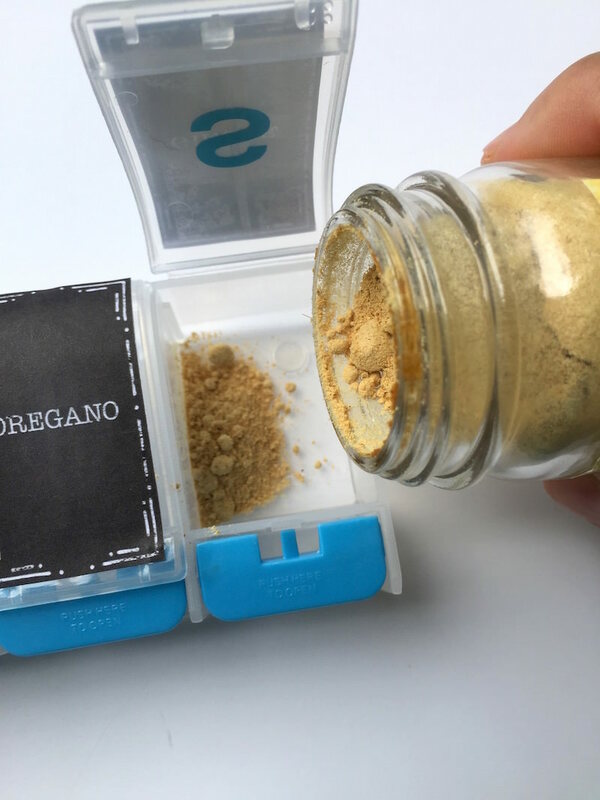 It’s pretty ingenious really – a pill container from the drugstore turned into a travel spice container! 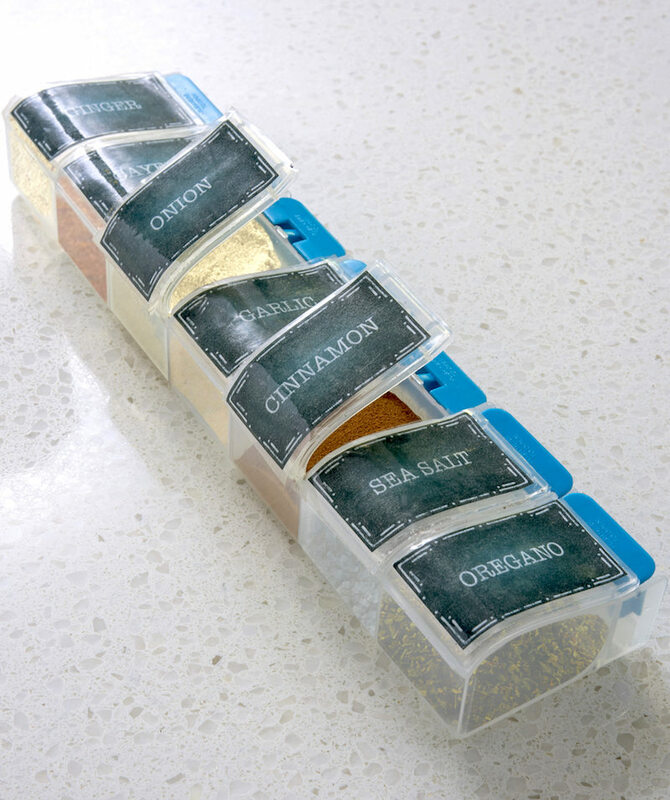 You don’t have to skimp on seasoning your food which this handy dandy organizer . 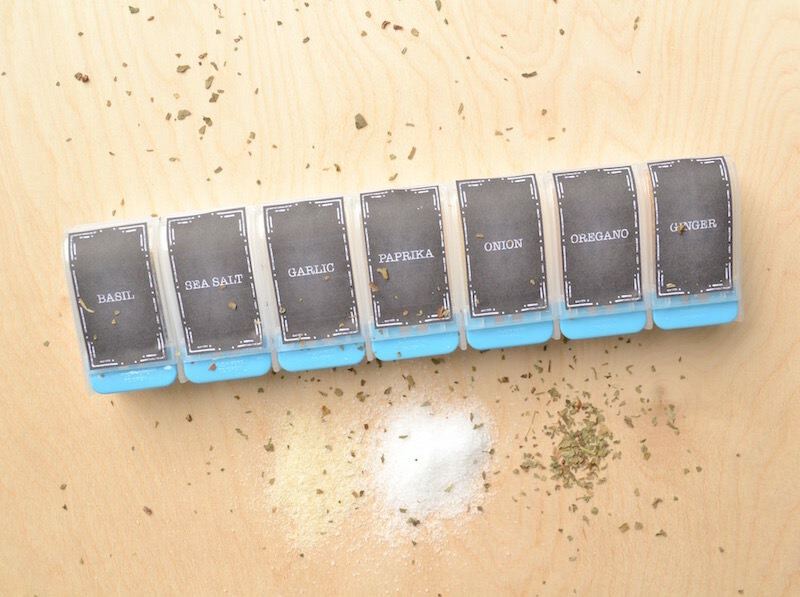 . . it’s easy to make and you can carry up to seven spices at once. It’s very lightweight, too. There aren’t a lot of tips for this project because it’s *that* easy. Having said that, I’ll give you a tip to save on the cost of the project – you can get pill organizers all day long from the dollar store. My local Dollar Tree has them. 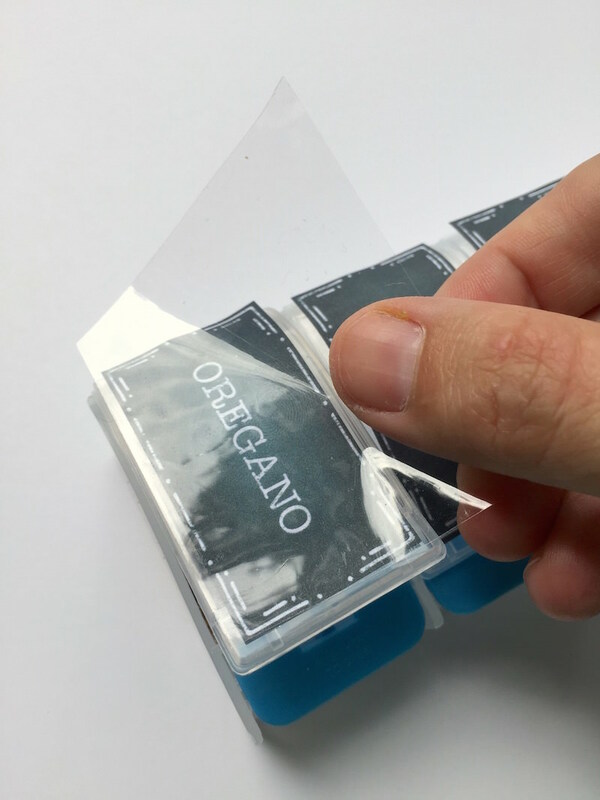 However I can’t guarantee that my printables will fit any tray you purchase – but I can encourage you to shrink them to fit by changing the scale of your printout, if necessary. 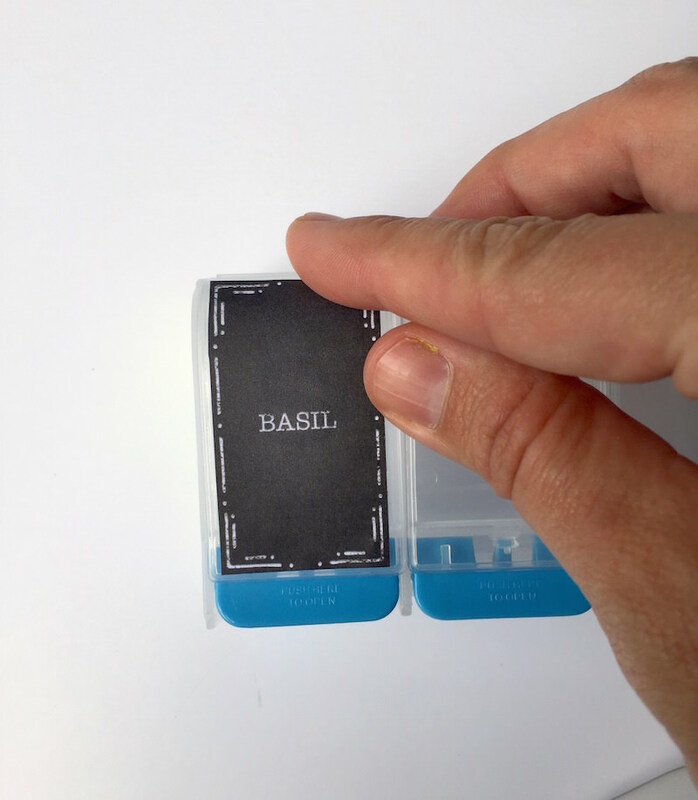 If you want to use the EXACT pill tray that I did, which my labels fit exactly, you can get it here for $6. It’s an extra large tray and is very durable. In fact, I actually made this project in 2015 and I’m still using it this year! Step 1. 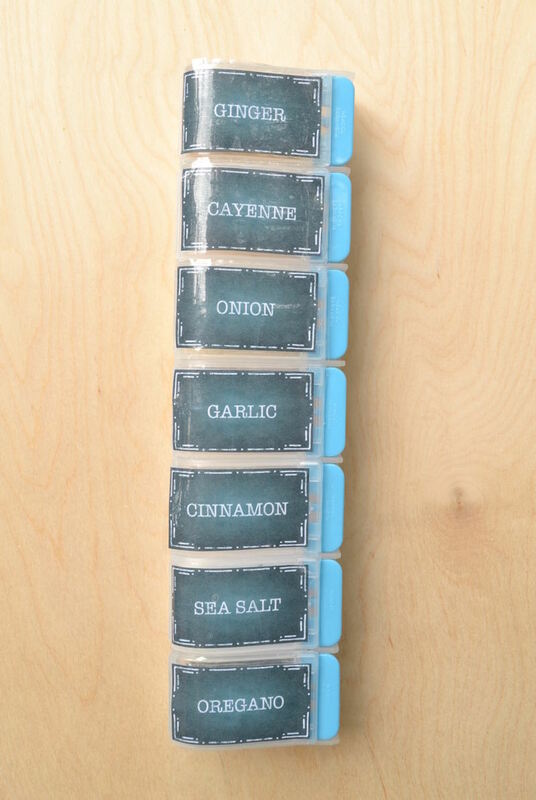 Print your spice labels on sturdy paper (it doesn’t matter whether inkjet or laserjet). You have been provided with two different colorways and orientations for a total of 20 tags, but feel free to make your own based on the spices that you love! 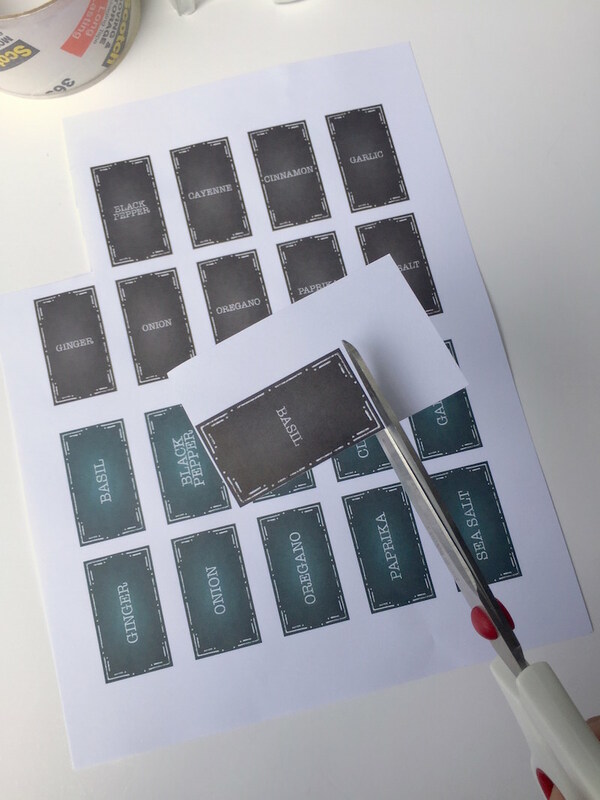 Once you’ve printed your labels, cut out the ones of your choosing. TIP #1: You may need to adjust the size of the labels based on the size of your container; your printer should have a percentage (%) size and/or scale listed in the page setup. You can decrease or enlarge the size of the labels to fit using this function. Step 2. 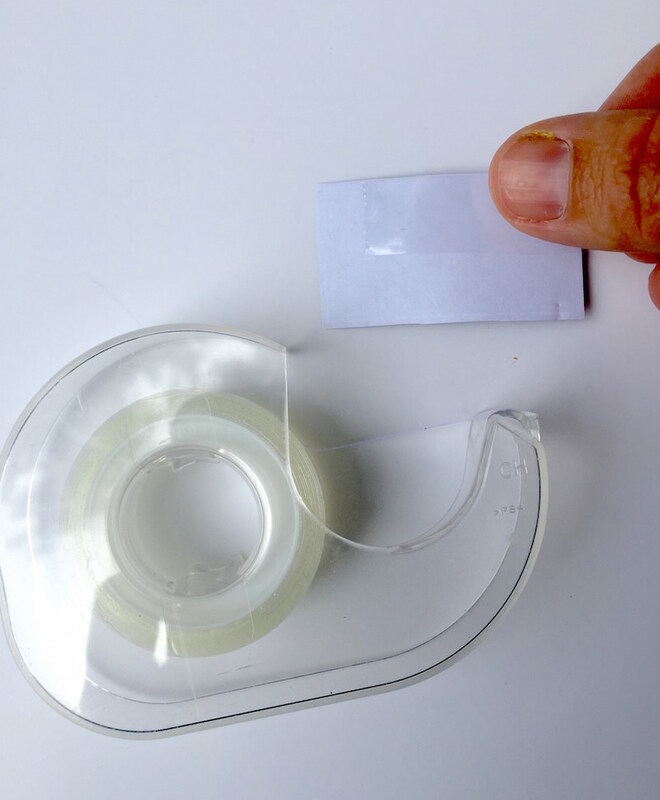 Add double stick tape to the backs of all of your labels. Step 3. Carefully smooth them onto the tops of each individual compartment on your container. Step 4. When you’re done, simply fill each compartment of your camping spice kit with the appropriate spices! But let’s say you want a little added protection? Step 5. I’ll show you how to achieve this with the blue label colorway. 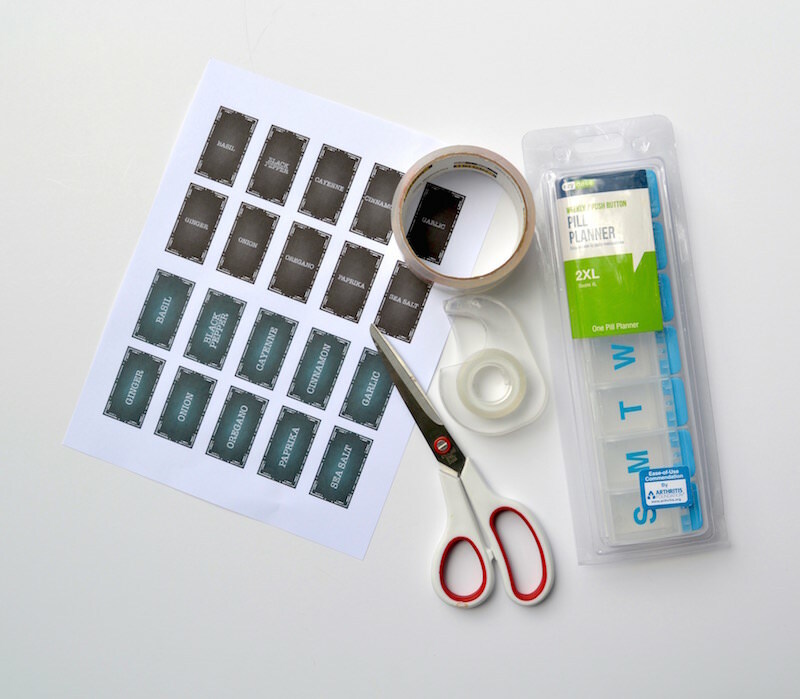 Cut out the labels as you did before, adding double stick tape and smoothing onto the compartments. Step 6. Simply cut a piece of packing tape slightly larger than each compartment. Place it down and smooth, being careful not to get any wrinkles. Step 7. Open each container lid and pull back; use the scissors to trim. Smooth down the edges and repeat for the other travel spice container compartments. That’s it! Plus, the tape gives you some added durability and waterproofing for more rugged trips. The nice thing is that in both cases, you can remove the labels and re-use your camping spice container for your actual pills! Or whatever else you like. Simply pour the remaining spices back into their original bottles and wash out the container. I love that this travel spice kit isn’t permanent if I don’t want it to be. My family is planning on taking an RV trip down the West Coast early next year, and I can’t wait to show them this brilliant travel spice container idea! They’re going to be so impressed. Be sure to make and take it on your next camping adventure. I’d love for you to try this camping spice container and let me know how it went in the comments! 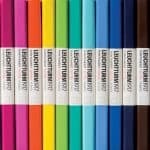 How to Organize Craft Supplies – 20+ Ideas!